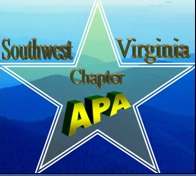 Welcome to the Southwest Virginia Chapter of the American Payroll Association! The Southwest Virginia Chapter of the APA was founded in 2007 and currently has 50+ members and growing. Our members typically come from the Roanoke, Lynchburg, and New River Valley areas of Virginia. They are made up of Payroll, Human Resources, Benefits, and Finance professionals. Meetings are scheduled from 8:30 AM to 10:00 AM and the agenda includes speakers on various subjects, which provides an opportunity to earn recertification credit hours (RCH’s).